Have you ever encountered hard drive corruption or computer crash? That will be a terrible experience especially when you lost access of important files from the hard drive. This guide will show you how to recover data from formatted hard drive using free hard drive recovery software. Hard drive of computer can fails and get damaged for many reasons. People may spill coffee on computer or format drive by mistake. Most people don’t attach importance to hard drive formatting or failure, for they deem that data loss would never happen. However, in fact, that can happen to everyone, then everything on the drive is missing. How do you recover data from formatted drive? How to get back your irreplaceable family photos, videos and documents? Can you recover data after format? Do you believe that hard drive data recovery software can save you from terrifying troubles? Such a simple tool can protect your most valuable data from formatted drive. What does formatting mean? Hard drive is just like a book, your files are the content on each pages. The formatting process creates new file system for the partition, after which file on the partition will be erased. File system is just like the catalogue of the book, which tells operating system where files are located how they are stored. Also, this is the only way that system read and access data. After formatting, new file system is created and then the catalogue of the book is blank, so operating system can’t access any data. 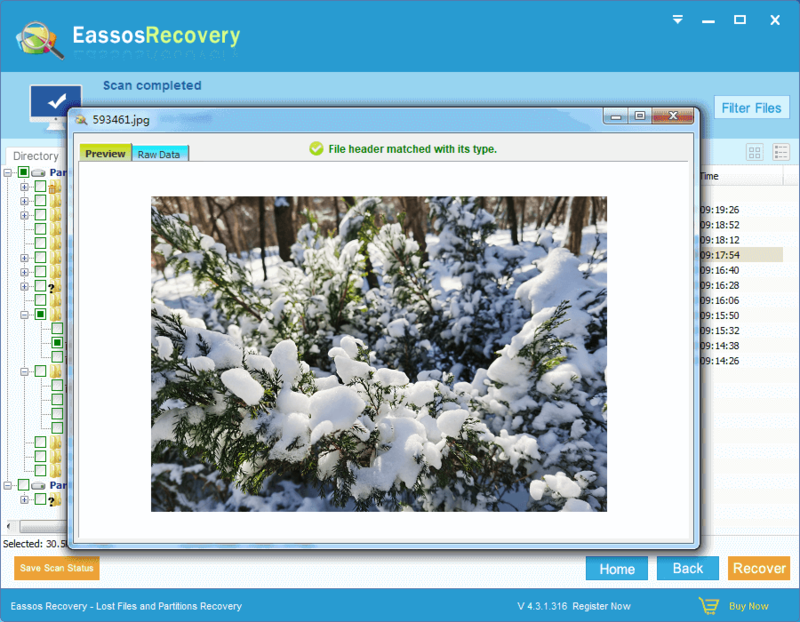 How does hard drive recovery software work? As a matter of fact, the formatting only removes the original file system, and file data still stays on hard drive sectors. Hard drive recovery software works on the basis of this simple principle. It can scan each sector on the drive and analyze features of data it finds out and then reorganize the catalogue for the content of the book. After scanning, formatted data will be listed again with original structure. 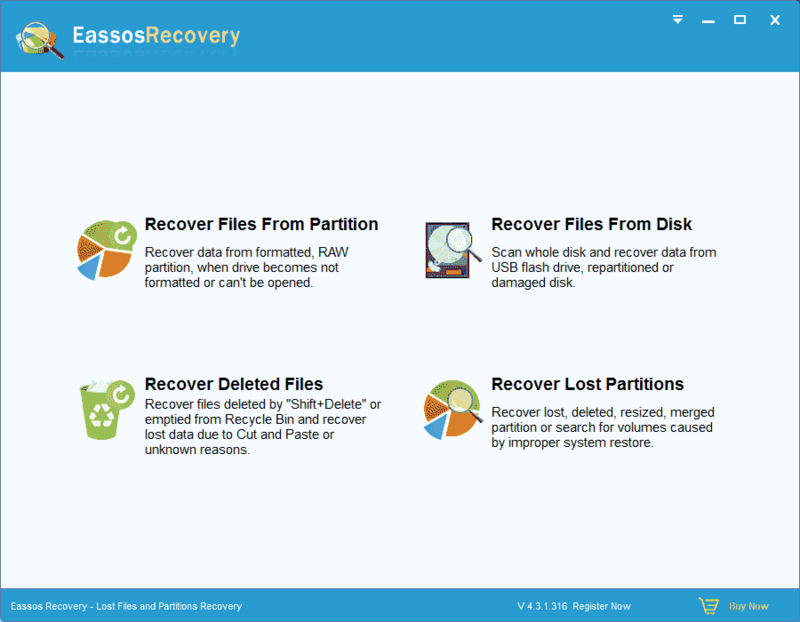 Step 1: Install Eassos Recovery to a partition which doesn’t need recovering data. Step 2: Start the program and select suitable recovery mode. 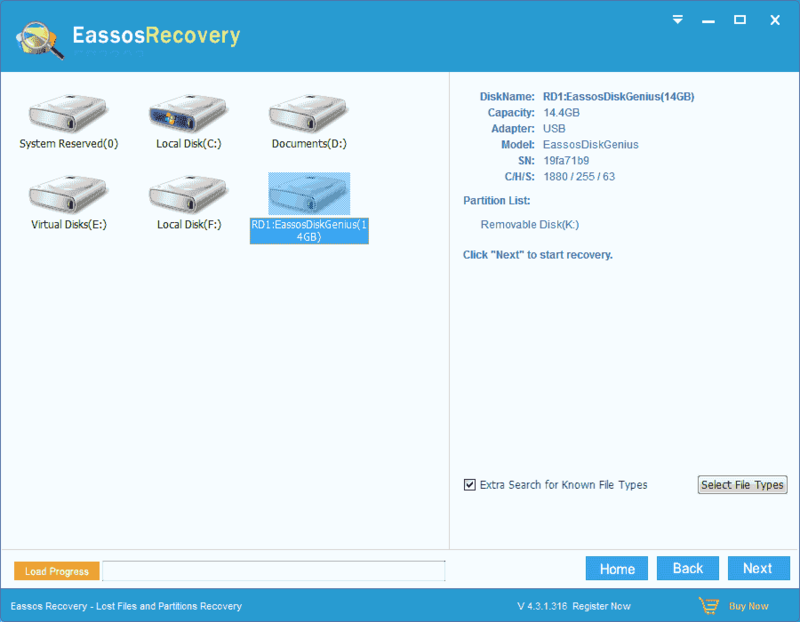 To recover a formatted partition, you can select “Recover Files From Partition”; and you need to select “Recover Files From Disk” the entire hard drive is formatted. Step 3: Select the drive where formatted files are stored, and click Next to seach for formatted data from selected area. Step 4: File preview recoverable files. You can double click a file to open it in previewing window and check file content. Step 5: Recover files. Select files and folders you want to restore from the formatted drive, and click Recover button. Then you can save them to a different location. 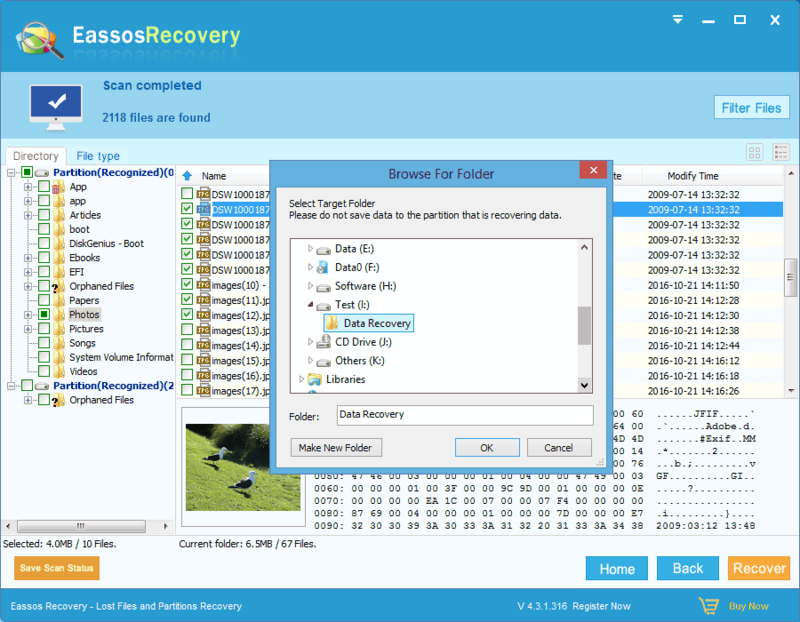 This entry was posted in Data Recovery and tagged hard drive recovery software, recover data from formatted drive, recovery software by EASSOS. Bookmark the permalink.